The Casablanca mini journal is an Italian notebook with ivory ruled pages. 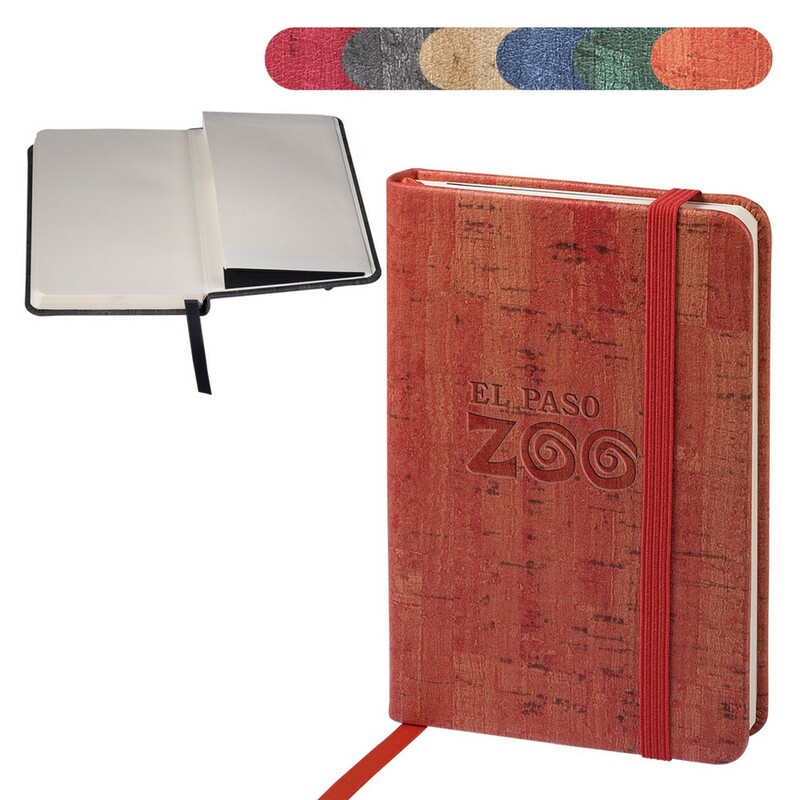 This extraordinary Casablanca Mini Journal is an elegantly designed notepad that features a cork-style finish that gives it a natural weathered look. The journal comes with a bookmark and an elastic closure to serve as the perfect giveaway for any occasion of your choice. Just imprint your brand logo and marketing message and bestow this wonderful journal on your business partners, clients, and employees, and enhance your brand reputation in a wise way!